We had a huge response when we revealed we were giving away a Bugaboo Runner, and tickets to the exclusive launch event. Parents were super keen to have the chance to literally get their hands on a Bugaboo Runner, which is brand new on the market. Parents-to-be, dads, mums and grandparents headed to Centennial Park, some with children in tow, so they could give the Bugaboo Runner a real workout. So what did the road-testers think? 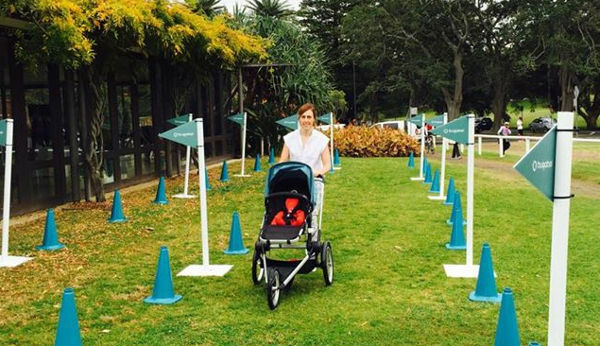 They loved how smooth and lightweight the Runner is to run with, and the fact that baby can face mum or dad while they’re running was also given the tick of approval. Another attendee said she was thrilled she could use her existing Cameleon seat and accessories with the Bugaboo Runner base. 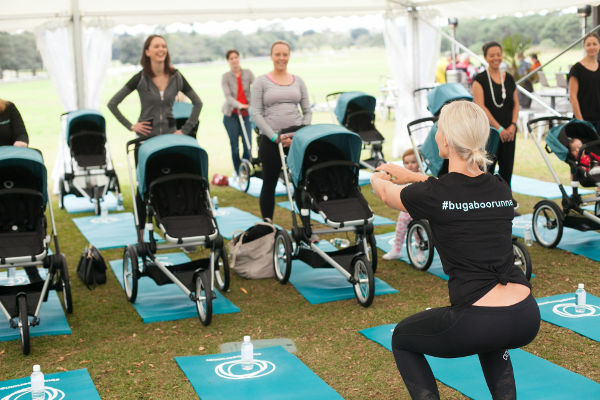 Attendees were able to test out the Bugaboo Runner on the running track, and also participate in fitness sessions with Kimberley George from Fit Mums Club. 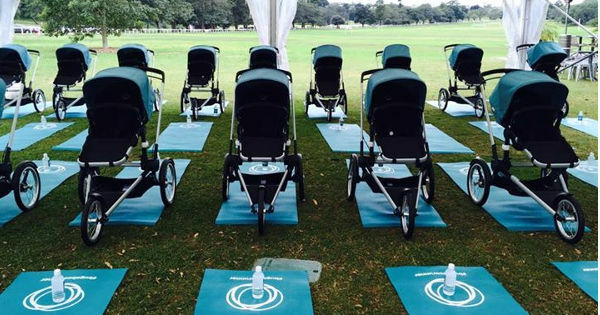 The training sessions were designed for pregnant and new mums – and at the end of each session the participants were given a Bugaboo yoga mat. 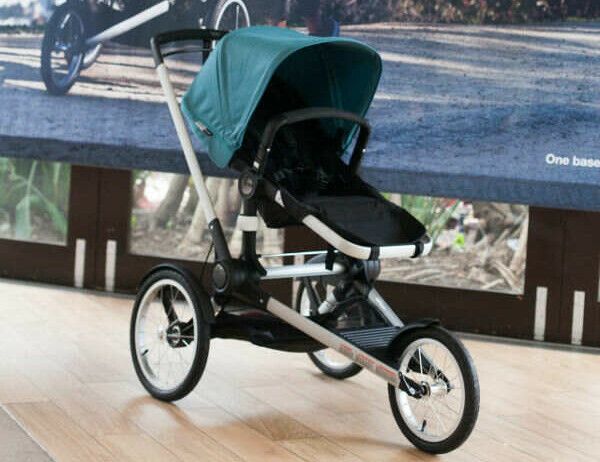 Bugaboo experts were also on hand to answer any questions on the newest stroller to the range, and of course – one lucky mum was able to take one of the Bugaboo Runners home. That very lucky person was Danielle Austin, pictured above, who is already a Bugaboo devotee. She took part in the fitness session, and tested out the Runner with her son and daughter, before getting to take it home. The Bugaboo Runner is now available in Australia as a complete unit for $990, or as an extension for your existing Bugaboo stroller for $580. Head to Bugaboo to find a store near you.